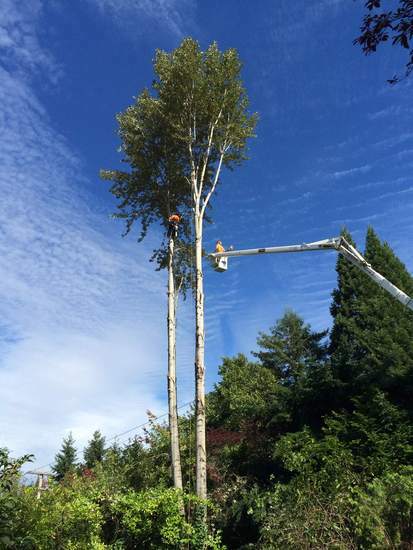 Tree Removal Services | Seattle, WA | Ballard Tree Inc. When a tree is dead, sick or has become a threat to the surrounding area, it likely needs to be removed. Or, in some instances, trees need to be cleared to make space for new construction, renovation or remodeling. 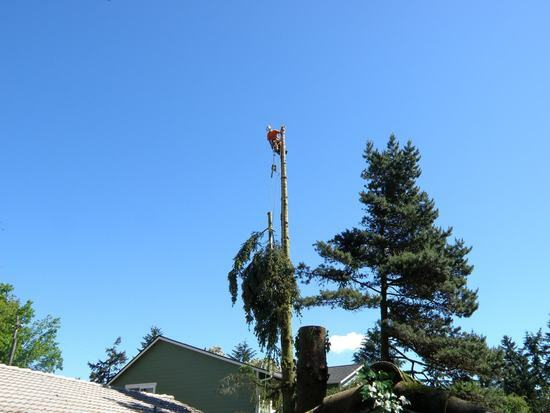 The team at Ballard Tree Services has more than 30 years of safely and cautiously performing tree removal services in the Seattle area. Often working in tight spaces that are too close to homes or power lines, tree removal requires the right professionals to ensure no damage occurs to the surrounding area. In addition to expert removal of your trees, we work hard to minimize the impact to surrounding vegetation and provide a thorough cleanup of the site afterwards. Contact us for tree removal and stump grinding services for cities and towns near Seattle, Washington including Mercer Island, Bellevue, White Center, Kirkland, Burien, Newcastle, Tukwila, Renton, Shoreline, SeaTac, Lake Forest Park, Redmond, Kingsgate, Kenmore, Sammamish.